The story of Wendell Ricketts’ one-of-a-kind anthology Blue, Too: More Writing By (For or About) Working-Class Queers is that of so much literature that examines intersections of marginalized identities: An initial dead-end. His predecessor to this book, Everything I Have Is Blue: Short Fiction by Working-Class Men About More-Or-Less Gay Life, encountered a whopping 57 rejections before it found a publisher–and it was a press that eventually shuttered its doors. So what’s the difference with Blue, Too? Why didn’t it get added to the heap of rejected concepts that are just too “much” or too complexifying or too honest to fit into marketing paradigms? Well, it’s mostly just the fact Ricketts kept pushing until he had the means to publish on his own terms — something he considers a distinctly working-class ethos. 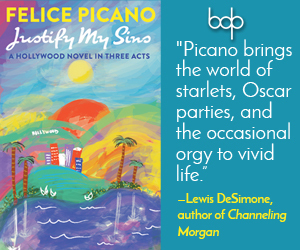 This year, he established FourCats Press, and finally he was able to create the book he’s always envisioned. Armed with that knowledge and the clear vision that working-class queer voices still matter, Ricketts’ expanded upon Everything in every way: in size and scope, in accepting more gender and sexual minorities than solely gay men, and in commenting on the importance of closely reading working-class queer narratives by providing detailed “reading guides” for each of the twenty stories anthologized. 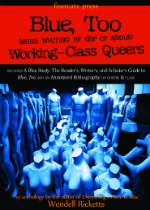 Further, one-third of the 486-page volume is taken up by an annotated bibliography about working-class queers in all cultural mediums and an extensive analytical essay titled “Class/Mates: Further Outings.” Blue, Too is, without a doubt, the authority on working-class queer writing in the English language. So let’s hope that a decade after Ricketts’ first attempt, this anthology isn’t still ahead-of-its time. At the very least, its long-overdue presence begs some consideration: What is so dangerous about this writing? The answers, of course, could be endless, but one thing becomes apparent quickly: Blue, Too shakes up both mainstream, straight, cisgender expectations of queers and queers’ expectations of queers.In a similar vein to Mattilda Bernstein Sycamore’s Why Are Faggots So Afraid of Faggots? : Flaming Challenges to Masculinity, Objectification, and the Desire to Conform, albeit in a more understated fashion, Blue, Too interrogates an aspect of queer communities that is often the source of invisibility and discomfort as LG(BT) people gain rights and social acceptance: Some queers are working-class, some are working-poor, and some are even downright impoverished. 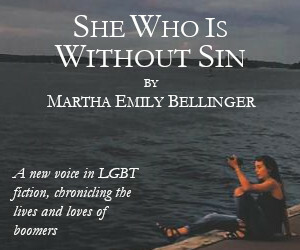 Our shiny, happy visions of who “queer” people are, especially in mainstream media, often can’t acknowledge that, to quote the oft-used activist slogan, “We Are Everywhere.” Rather, “working-class” and “queer” have come to seem almost like a antonyms because of the other specters that “working-class” raises. So what are the cultural associations with “working-class” complicating queer identity that find illumination in Blue, Too? Immediately, we see the theme of non-white racial identities emerge in C. Baird Cole’s “Flowers, Flames” and Rane Arroyo’s “My Blue Midnights.” In Marcel Devon’s “There Are No Pretty Girls at the Tabernacle,” we feel the threat of fundamentalist religion.Rick Laurent Feely’s “Skins” and Timothy Anderson’s “Hooters, Tooters, and the Big Dog” we get rough, coarse language, hints of violence and rougue-ish criminality–“class-less” behavior. And in Keith Banner’s “Lowest of the Low,” Robby Nadler’s “Austin,” Wendell Ricketts’ “Financial Aid,” and Rigoberto Gonzalez’s “Men Without Bliss” we feel the limitations of fore-shortened educations and dead-end jobs. All of these things scare queers seeking assimilation–and a couple, like violence and poverty, seem to be rightfully frightening, as they portend our extinction. But all of these things also scare queers for the wrong reasons–they disrupt a clean, palatable vision of queerness that could slip seamlessly into an affluent, white-dominant mainstream. Blue, Too is an intervention into queer culture that demands we look at what homogenizing “LGBT” discourses–which are often, in truth, only really about the “G” and maybe the “L”–leave out. Yet, it’s worth noting, Ricketts’ call of “We exist too!” is anything but self-pitying. The writing in Blue, Too is fierce, forthright, and often exquisitely brutal while being tender and deeply real. Highlights include Banner’s “Lowest of the Low,” Feely’s “Skins,” Carter Sickel’s “Saving,” Dean Durber’s “Bleeding Toy Boys,” and Judy Grahn’s “Boys at the Rodeo.” These stories bring up the kinds of questions without easy answers that multiply marginalized folks face daily. How do I feel whole when I must choose between being “out” and making enough money to survive? How do I find belonging when I enter contexts where class and sexual expectations shift? If my queerness and my class seem to be at odds, how can I find a sense of rootedness or “home”?